With the eye-catching theme, the search box provides customers with ease and convenience to find out their intended products easily. Noticeably, all actions from searching, choosing details for order are processed on a single page, which while the necessary features are all simplified and located on only one single page to maximumly reduce the possibility of abandoning page before checking out. Only by typing one or several letters of an item’s name or SKU code, the buyers will be immediately suggested relative results with product images and related information. Search – Select – Add: By searching the product’s name or its SKU code, the whole of the related items will be shown up. 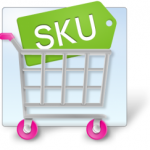 After selecting wished products, customers just need to click “Add to cart” button to proceed checkout. Enter multi-SKUs – Bulk adds: Instead of uploading CSV file, users can directly enter multiple SKUs to add products to cart. This function is suitable for those who are well-prepared for a list of the products’ SKU codes. 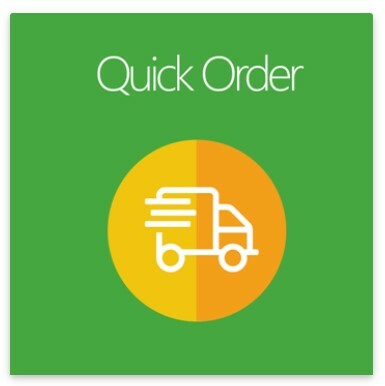 With its clear and user-friendly interface, Quick Order page is optimized to empower principal buttons. Just by some simple clicks on buttons on one single page, customers can quickly process their purchases. Searching for products, choosing detailed attributes, duplicating items are all quick and easy with Mageplaza Quick Order extension. High customization of Quick Order’s design must be a plus for your store. The colors of Heading Background, Heading Text and Heading Background Button can be edited on the backend to match your store theme. On the backend, URL and title of the page can be customized easily. Quick Order link can be located by the Search box, on Top Menu, and at Footer. Quick Order page can be set to be visible to particular customer groups. Allow store owners to manage the number of search results, auto-search minimum character, product image display. What a useful extension! It is clear to see and manage. At first, I was a little hesitated to apply this extension to my store site; however, it turned out to be really great. The feedbacks by visitors and customers are much more positive recently. Thanks, Mageplaza. Actually, this is what I’m looking for. Especially, the most impressive thing is your willing support. Almost my report emails were responded shortly and I highly appreciate that. Good job, guys. From the backend, you can manage the setting easily with several features such as editing the page title, renaming route name or even allowing specific customer groups to see Quick Order. Some essential features, which support the buyers to search in an easy way, are presented in the Search field. The store owner can edit all the default settings from the backend. All the settings of design are set in the Design field and can be re-fixed to match your store theme. 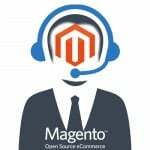 In the e-commerce market, it is extremely hard for the store owners to find a way to make their site superior to the others. However, “hard” does not mean impossible. By customers’ experience, Quick Order extension encourages shoppers to make purchases and come back to your site again. As a result, this helpful extension makes great contribution to increase conversion rate and boost sales. 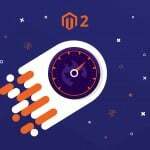 Therefore, there is no doubt that it will be the wise decision to install Mageplaza Quick Order as an excellent solution to enhance the strength of your store site.